Over the weekend of May 20-21,2017 Primal Therapeutics hosted our first Cannabis Massage 101 weekend of plant medicine retreat. It was an amazing experience. 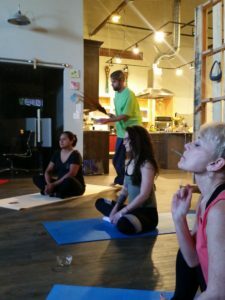 With the cannabis massage retreat off to a great start it has created wonderful momentum for the upcoming classes. Cannabis massage is the modality of the future. These classes will educate massage therapists how to take their careers to the next level. 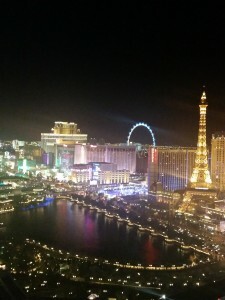 The retreat was created to satisfy the requests of therapists from across the country. 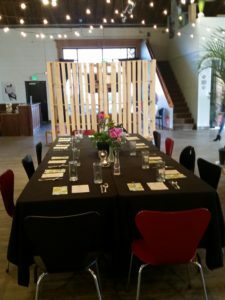 When we realized that the majority of students were traveling from outside of Colorado we wanted to create an experience that would touch the mind, heart and soul, an experience that would provide education on plant medicine during a weekend of wellness. We partnered with other cannabis industry experts to design this special retreat that we will have two times in 2017. 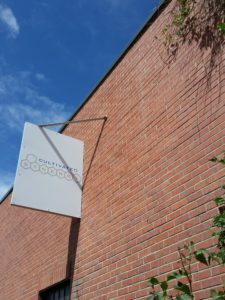 The setting for our retreat was the beautiful Cultivated Synergy located in the Rino neighborhood in Denver, Colorado. It could not have served our needs any better. It provided a safe and comfortable space for our students. The staff were so attentive to our every request and need throughout the entire event planning process as well as the entire event weekend. 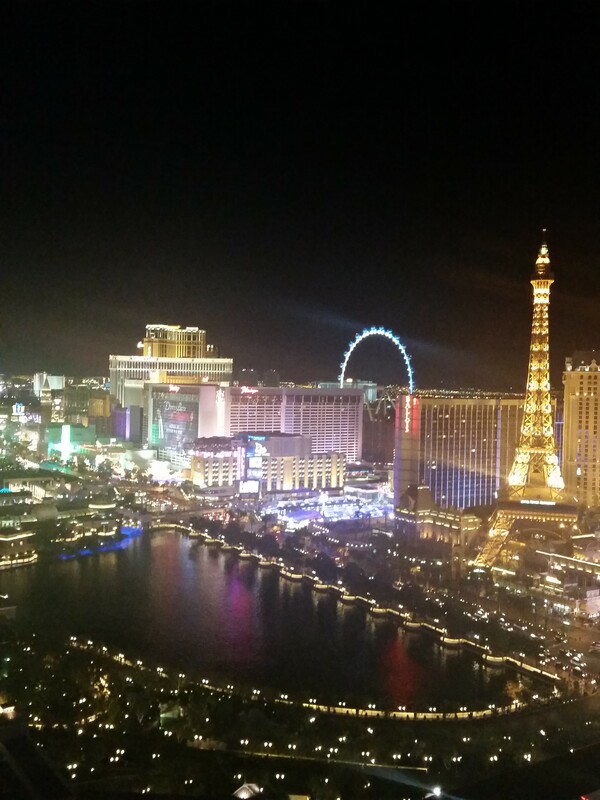 “I had a wonderful time during the class. Jordan you did a fantastic job educating our class on cannabis massage. You made it a very safe place to educate. Free spirit with the knowledge to enhance our skills and lives. Thank you so much” -satisfied student from May class. 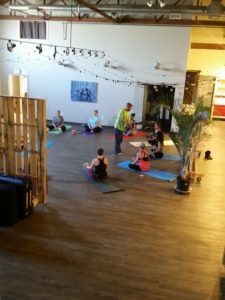 The expansive square footage allowed us to set up for several portions of the class at once. This made the transition from each portion of learning so smooth. Keeping class size small allowed for a more intimate learning experience. Students were able to have their questions answered and receive individual attention that truly elevated the quality of learning. After learning about the Endocannabinoid System, terpenes, contraindications, the Entourage Effect, benefits, cannabinoids, and so much more it was time to feel the difference that cannabis makes in a massage therapy session. 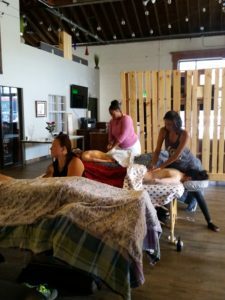 Students broke into pairs and had the opportunity to use Primal Therapeutics Herbal Body Oil and Primal Salve-Vation during practical application. The students were able to keep the salve to use at their discretion as a gift from their teacher. All of the retreat attendees reported being able to feel the muscles respond to the infused topicals. Thanks to the class being small technique pointers were provided to each student on an individual basis. Non-infused brunch was provided both days of the retreat. CBD rich coffee was donated by Strava Craft Coffee and water soluble infused THC and CBD organic teas were donated by Stillwater. Students had the ability to help themselves to the coffee and tea station at their leisure. 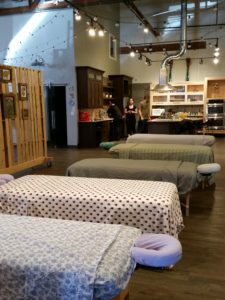 We are so grateful to both vendors for their generous donations to our first retreat. 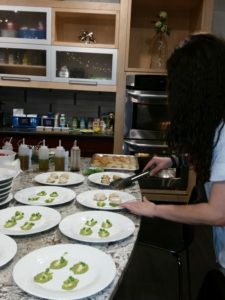 Our chef for the infused dinner was Jessica Catalano, author of The Ganja Kitchen Revolution. 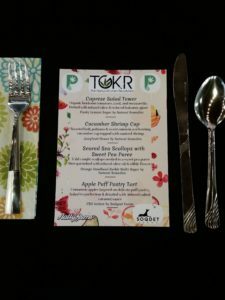 She prepared a four course dinner for the class using cannabis extractions of THC and CBD. 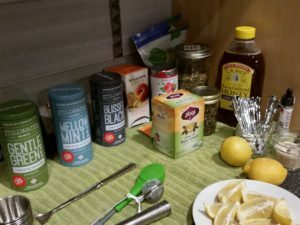 In the first three courses she used strains from Natural Remedies. 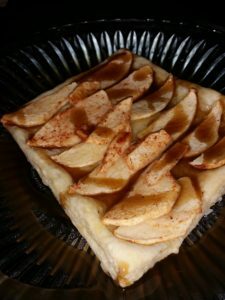 The terpene profile that each variation provided was chosen to match the dish. 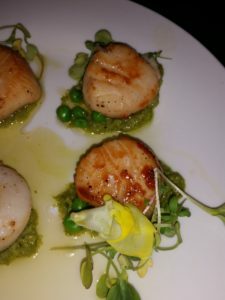 Chef Catalano is the pioneer of stain specific cooking. She then used CBD isolate from Soqdet Farms in Arvada for the infused caramel for dessert to round off the meal. Every bite was decadent. 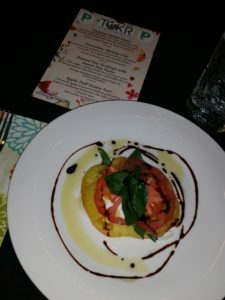 Chef Catalano will create a different seasonal menu for the fall class. 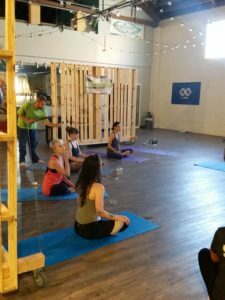 The infused yoga portion was created by Jimmy Smrz of Yoga on the Green. He graciously stood in for Ganjasana owner and creator Rachael Carlevale at the last minute due to a family emergency. 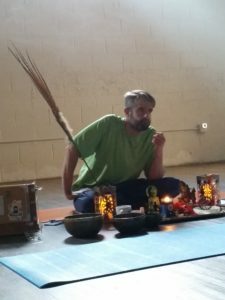 He did an excellent job at leading our class through an enlightening session of spiritual plant spirit yoga. He activated our endocannabinoid systems with energy movements and activated all of our senses. We are so grateful to him for being so flexible and generous with his time and energy. His class was the perfect way to start our Sunday morning. 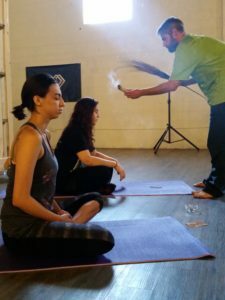 Listening to the singing bowls at the end was the perfect awakening transition to bring the class into the next portion of learning. “Your curriculum was in depth and organized. It’s exactly what we need to know as massage professionals and ambassadors of plant medicine. I loved the connection with others who are hungry for knowledge and new experiences. Thank you for creating a fulfilling weekend I’ll never forget!” -student from May 2017 class. After yoga it was time to learn how to make topicals. 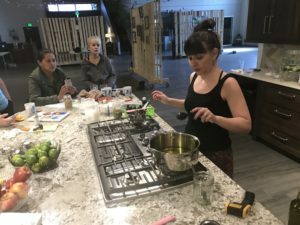 Working with herbs is a process and in Topicals 101 students learned the basics on how to begin this part of their journey through plant medicine. Instruction was provided on how to make massage oil and salve. 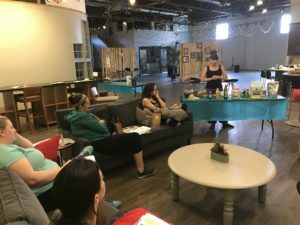 Education included various herbs, necessary tools for topical making, essential oils and the many options that can be used a base for topical treatments. All students went home with organic massage oil created in class and everyone had the ability to create their perfect individual scent using various organic essential oils. Law has a lot more to do with cannabis massage then many people realize. Jordan has a lot of background in that area thanks to her work with NORML (National Organization for the Reform of Marijuana Laws) the longest standing consumer advocacy group in the nation. 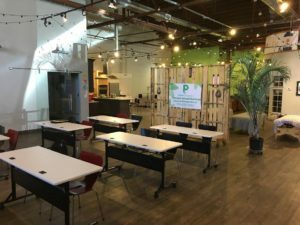 Running the Denver chapter and speaking throughout the country in favor of reforming laws for the cannabis plant are part of what makes Jordan qualified to teach this class. 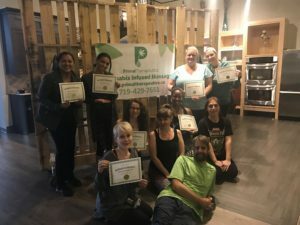 Education was provided to the students on how they can become involved in the activism portion of cannabis massage so that protections can eventually be put into place for massage therapists working with cannabis infused oils and salves. 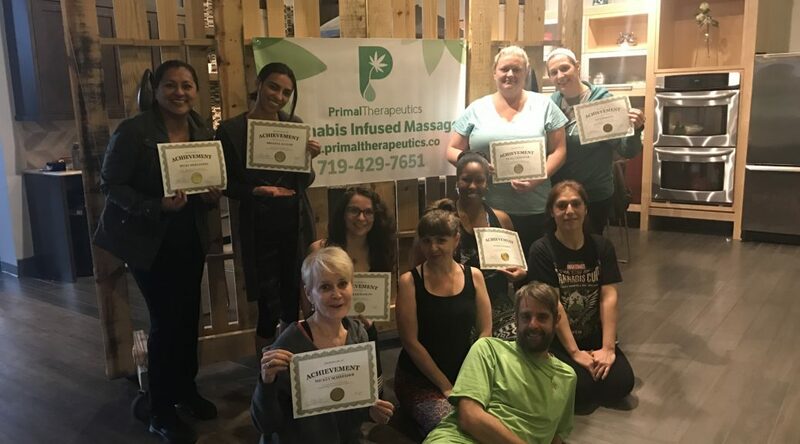 The first Primal Therapeutics certified class of cannabis massage therapists will always be near and dear to Jordan’s heart. Amazing memories and friendships were created and the cannabis massage movement had a nice growth spurt. Anyone can rub cannabis onto a patient and call themselves a cannabis massage therapist. 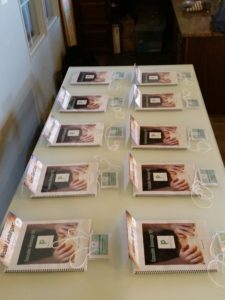 The difference between those therapists and a Primal Therapeutics certified therapist is the level of education we provide our patients and clients. Information is what this industry is lacking. The more knowledge we can provide patients the more they will seek out healing and therapeutic treatments and we can continue to change the world one patient at a time. We hope to meet you and teach you at our next retreat in October. “Jordan has got her sh*t together and is a true inspiration! I loved how she put it together; everything worked out perfectly except for it being too short and not enough questions asked. Other than that, it was excellent vibes, and great memories to keep in mind for the future. Thank you Jordan for all your hard work to bring this class together.” – satisfied student. Are you curious if cannabis infused massage therapy is right for you? 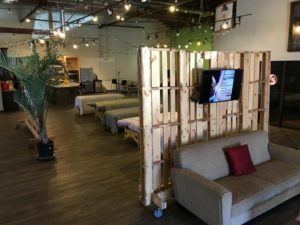 Here you will find answers to some of the most frequently asked questions about cannabis infused massage therapy. If the answers you seek are not listed here, please do not hesitate to contact us. 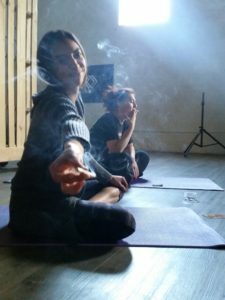 Q- Will I fail a drug test after a cannabis infused massage? A. No, to date no one has failed a drug test from the topical absorption of cannabis. Q- How is marijuana actually a part of the treatment? A- The lotions, salves and oils we use are infused with organic cannabis. The topicals all contain the cannabinoids THC, CBD, and CBN for the most therapeutics effects. A-No, there are no psychoactive effects from the use of topicals. 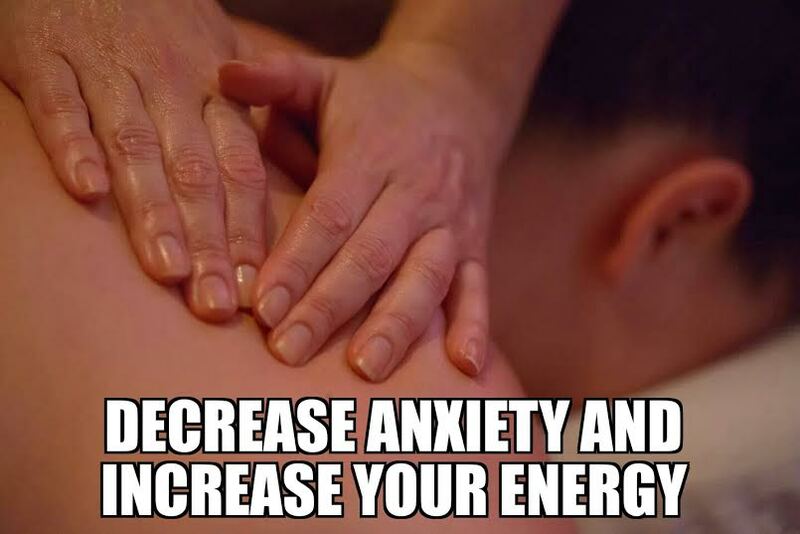 Patients do report a deeper induced sense of relaxation then what is felt with standard massage therapy. Q- Will cannabis infused massage help my pain, arthritis or other condition? A- Yes, we have had incredible success with many types of diseases and disorders. Pain is one of the many symptoms we have seen relieved. If there is a specific condition you are concerned about please don’t hesitate to contact us.